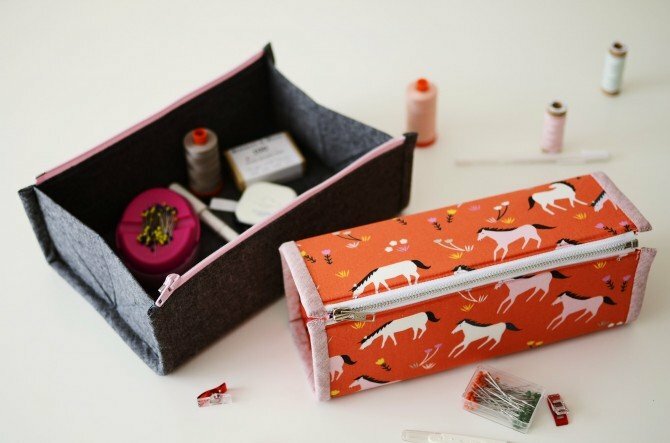 Learn how to make this new style of pouch with a fun twist. It opens out into a useful tray to keep contents close at hand and easy to reach. Zips up securely for travel or storage. Great to use for sewing, knitting, kids toys, travel and more. You'll learn how to use a separating zipper while making this modern tray that closes into a pouch. Must have a sewing machine with working knowledge of how it operates. Must purchase patter). Also will need a zipper foot and a separating 10" zipper (both available at A1).